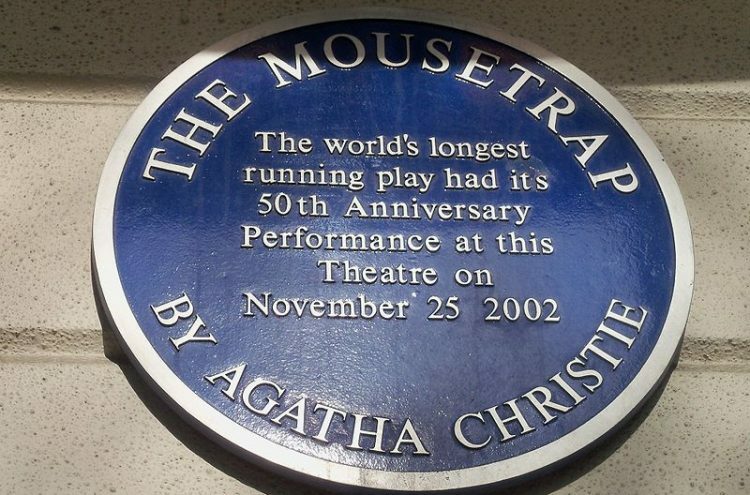 The Mousetrap is the world’s longest running play. We have booked a number of tickets and hope you will join us at the Grand Theatre, Blackpool. Written by Agatha Christie, The Mousetrap is a murder mystery play on tour for the first time and with a star cast. The scene is set when a group of people who are gathered in a country house, cut off by snow, discover to their horror that there is a murderer in their midst. Who can it be? One by one the suspicious characters reveal their sordid pasts until at the last, nerve-shredding moment, the identity of the murderer and the motive are revealed. In her own inimitable style, Dame Agatha Christie has created an atmosphere of shuddering suspense and a brilliantly intricate plot, where murder lurks around every corner. We have reserved 50 excellent seats in the front stalls (rows C-G). The coach will start collecting theatregoers at the Assembly Rooms, Lytham, with various pick-up points along Clifton Drive – and will drop you off at the same pick-up point on the return home.